Finding and retaining excellent employees is one of the biggest challenges faced by all businesses, regardless of the nature, industry and size of the firm. Don’t believe this statement? 65% of recruiters claim that it’s a huge challenge to fill positions and talent shortage is the biggest obstacle in hiring. Finding the right candidates (46%), negotiating compensation (43%), and fierce competition (39%) are the three major challenges in recruiting. At the end of 2016, there were over 5.5 million job openings in the US alone. This was an increase in 112,000 jobs compared to the previous year. All of these numbers show that finding and retaining the best talent is one of the biggest managerial headaches faced by businesses across industries. It’s no wonder that more businesses are turning to professionals to help them with recruiting. This is where Recruitment Process Outsourcing (RPO) comes into the picture. A recruitment organization has the right skills, knowledge, and ability to find the right candidates who will be a perfect match for your business and work culture. Let’s take a closer look at RPO including how it works, the benefits, services offered, and whether or not it’s the right option for your business. Recruitment Process Outsourcing is the process in which a business hires a third-party firm to handle all recruiting related tasks. Generally, the company you outsource to assumes responsibility for the recruitment process and are held in charge of the results. This means that the RPO provider has larger stake and is more invested in your business, compared to a regular recruitment firm. They are more concerned with ensuring that the recruitment process produces the right results for your business. When you have a good RPO partner at your side, it can significantly enhance and streamline your recruiting efforts. According to the Undercover Recruiter, the cost of hiring the wrong person is pretty startling. You lose nearly 10% of your sales opportunities by hiring the wrong person. The average cost of a bad hire equals nearly 30% of the employee’s annual earnings. It could cause productivity levels to drop by 36%. Hiring a new person to replace the bad hire takes 40% more time which involves repeating the entire process again, from recruiting to employee onboarding. Wrong hires can also disrupt the team dynamics, causing employee morale to drop by 32%. Very often, businesses don’t pay as much attention to recruiting as they should. When you improve your recruiting process, it helps make sure that you get the right people in the right jobs. This has a huge impact, not only on your bottom line, but also your entire workplace culture. By employing the right recruiting methodologies, you ensure that the people who you hire work towards the success of your organization, and have your business’ interests at heart. It decreases high turnover rates, and also reduces your overall costs of recruiting. All this and more is possible with recruitment process outsourcing. What’s the Difference Between a Recruitment Agency and RPO? When you partner with a local recruitment agency to fill an open position, they just send out notices and messages about the job on local message boards, both online and offline. Their tactics involve sending out feelers and hoping that something sticks. While this may help you fill the open position, it doesn’t necessarily ensure that you have the right person for the job. This is why you need recruitment process outsourcing. RPO is more than filling open positions. Instead, an RPO provider works closely with your HR team to improve your organization’s recruitment process from the ground up. They make it their job to ensure that you find the right person for each open position. They are more than third-party companies that you hire. They are your business partners, who want to ensure that you succeed. RPO providers don’t just find the right person for the job. They can also handle other employment tasks like monitoring performance of employees, measuring results, turnover rates, scalability, and more. Simply put, RPO is a long-term relationship. When you hire a recruitment process outsourcing organization, the person in charge meets with your hiring manager (or HR team) to draft the perfect job listing. They then work with your HR team to develop a recruiting strategy tailored to your specific business’ requirements. The RPO team then posts the listing on job sites and other online forums. Once applications start coming in, they begin the process of screening resumes and conduct initial screenings (usually by phone) to de-select candidates. The de-selection process may include two or three rounds. Once the RPO team has refined candidates, they present the shortlisted candidates to your hiring manager. The RPO team then coordinates with your hiring manager to conduct interviews of prospective candidates. The RPO provider also works with your hiring manager and their team to prep them for the interviews. They provide the right interview questions to ask, share evaluation tools, and more to weed out unsuitable candidates. Following the interviews, the RPO team conducts a post-interview debrief with the hiring manager to find the final candidate. The role of the RPO firm isn’t yet over. The RPO team can also conduct other tasks like reference and background checks, skill assessments, compensation negotiations, deciding start dates and more. After this, the onboarding of the selected candidate starts. The RPO team then contacts the hiring manager to collect feedback about the hired employee, and uses it to increase future hiring efficiencies. Simply put, recruitment process outsourcing helps to streamline and optimize the A to Z of your recruitment process. RPO is more than filling existing positions. It’s a way to enhance your recruitment methods overall. While a few RPO providers take a “one-size-fits-all” approach, most customize their services based on their clients’ requirements. Help with Hiring – Everything from drafting the job listing to evaluating the candidates to drafting the ideal offer letter and more. Technology – RPO firms use advanced tools to enhance the recruitment process. This helps you reach out to a wider pool of talent. Reporting – Provides you with real-time feedback and analytics of the progress of the recruitment process. Consulting – RPO providers also offer miscellaneous consulting services like ways to evaluate your current hiring methods, offer smart suggestions, and more. Wondering If Your Business Needs RPO? Now, that you are aware of the benefits of an RPO and know more about how it works, we’re sure you’re wondering whether or not your business needs this service. Do you often find it difficult to find the right candidates? You have a hard time filling open positions within a short-time frame? Is your HR team stretched thin, with little or no time to focus on recruitment? Do you lack a separate HR team? Are you clueless about your recruitment metrics? Do you have high turnover rates and find it hard to retain skilled employees? Does it feel like you’re handling recruitment all throughout the year? 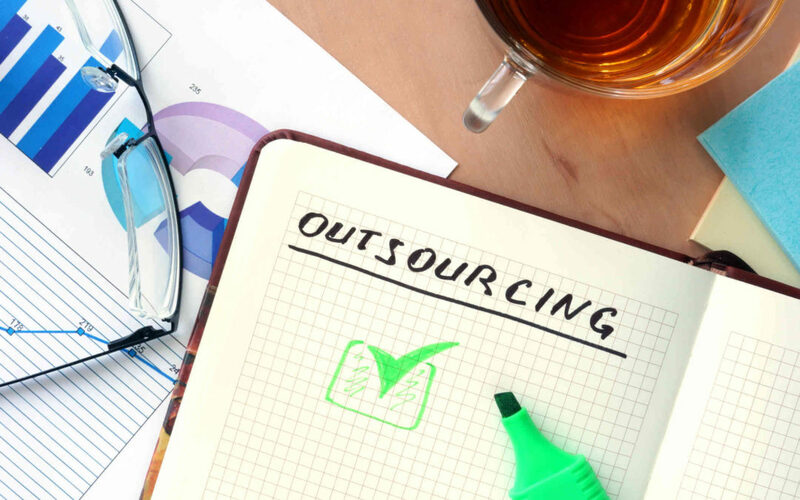 If you answered yes to any of these questions, then it’s time to find the right recruitment process outsourcing provider to help your business. Do you have experience with RPO? Or have you come across other benefits of RPO? Please share your thoughts with us in the comments below.